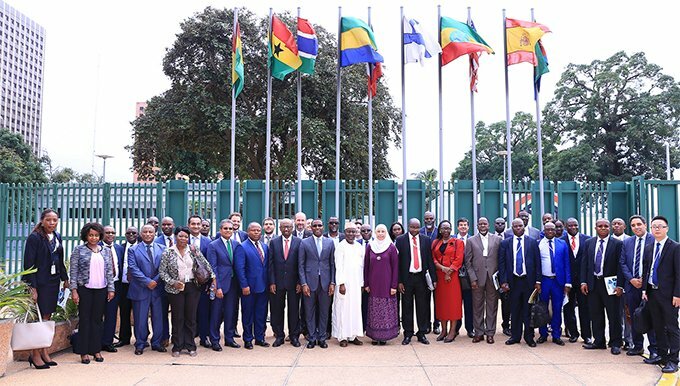 The inaugural edition of the Africa Energy Market Place (AEMP) was held July 6-7 with the participation of more than 300 public, private and civil society stakeholders, including government agencies, development partners and investors in the energy sector. The two-day workshop discussed the technical, commercial, regulatory and financial issues in Africa’s fast-growing Energy market. The workshop featured case studies from five countries – Côte d’Ivoire, Egypt, Ethiopia, Nigeria, and Zambia. Representatives from each country delivered presentations on the accomplishments, investment opportunities, challenges, and the long-term outlook for their respective energy industries. In his welcome address, African Development Bank President Akinwumi Adesina underscored the dire situation of Africa’s energy environment. “Africa has a lot of energy potential but potential doesn’t create anything … We cannot continue to accept Africa being referred to as the ‘dark continent’. We need to act speedily to accelerate our plans to light up and power Africa,” Adesina said. The Bank has made a $12billion investment commitment to its New Deal on Energy for Africa program. Sub-Saharan Africa currently has 14% of the world’s population and accounts for 4% of global energy investment. Analysts at the Bank note that several countries, including Ethiopia, Gabon, Ghana and Kenya, are on track to reaching universal electricity access by 2030. Participants at the AEMP had insightful and thought-provoking discussions in country-focused workgroup sessions, looking at identifying quick wins in sustainable financing models, commercial and investment prospects, energy access and efficiency and regulatory reforms. Discussions also focused on governance, risk management, beyond-the-grid and renewable energy solutions, training and capacity building. The AEMP is an industry-wide, collaborative platform convened by the African Development Bank to address barriers to mobilizing and scaling-up private investment into the energy sector by bringing together key stakeholders in the continent’s energy sector. Specifically, it seeks to address Africa’s dismal energy and electricity production and consumption, which currently stands at 150kWh/capita. The issues discussed during the AEMP are based on the latest research by the Bank and on inputs received from governments, according to Amadou Hott, African Development Bank’s Vice President in charge of Power, Energy, Climate and Green Energy complex. The next AEMP meeting to review the progression of projects and investment opportunities in the sector will be on the sidelines of the Africa Investment Forum (AIF) scheduled in Johannesburg, South Africa in November 2018. The AEMP initiative is part of the ‘New Deal on Energy for Africa’ program, a transformative partnership to light up and power Africa by 2025. Posted by Geraldine Boechat on July 8, 2018. Filed under News, Zoom. You can follow any responses to this entry through the RSS 2.0. Both comments and pings are currently closed.